I have to admit that when it comes to hosting holiday parties, I can be totally overwhelmed by pulling it all together. While I love to entertain, I don't love spending hours in the kitchen. It's one of those crazy conundrums. I want my food to be beautiful, but I don't want to spend hours preparing it. A Stella cheese board is the perfect solution. With just a few simple ingredients, you can make a beautiful appetizer that will please your guests in a snap. I used a wooden cutting board as the base for my cheese board, but you could really use anything. A beautiful platter, or a unique tray would also work well. If it is larger, you don't have to worry about filling the whole thing with cheese. There are so many different elements you can add to your display that will fill the space. 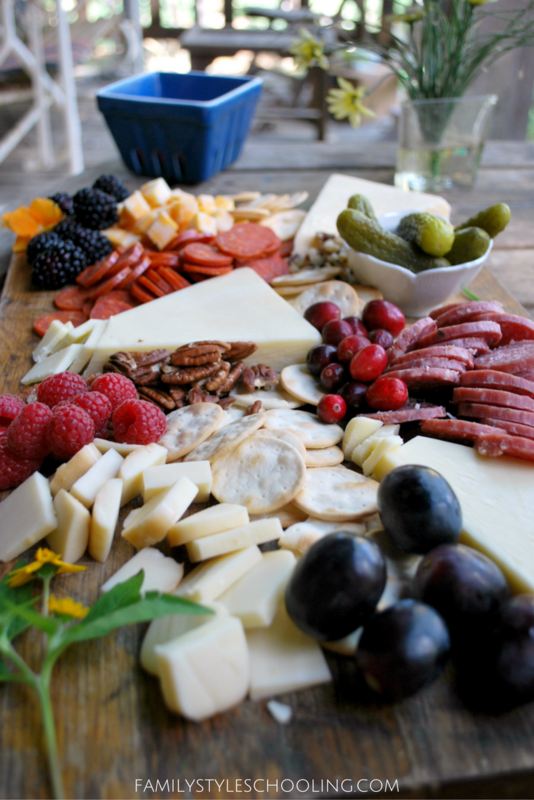 You want a variety of cheeses to make your board interesting. Stella Cheeses offer a great selection of quality cheeses to feature on your cheese board. When picking your cheeses, make sure to have a variety of hard and soft cheeses. A few little flowers from around the yard finish off the cheese board with simple elegance. This board only took a few minutes to pull together, but it was a beautiful treat for guests! Click here to enter Stella’s amazing contest to win a trip to Napa Valley, California! This $5,000 trip would be an amazing opportunity to experience wine and cheese at it's finest. 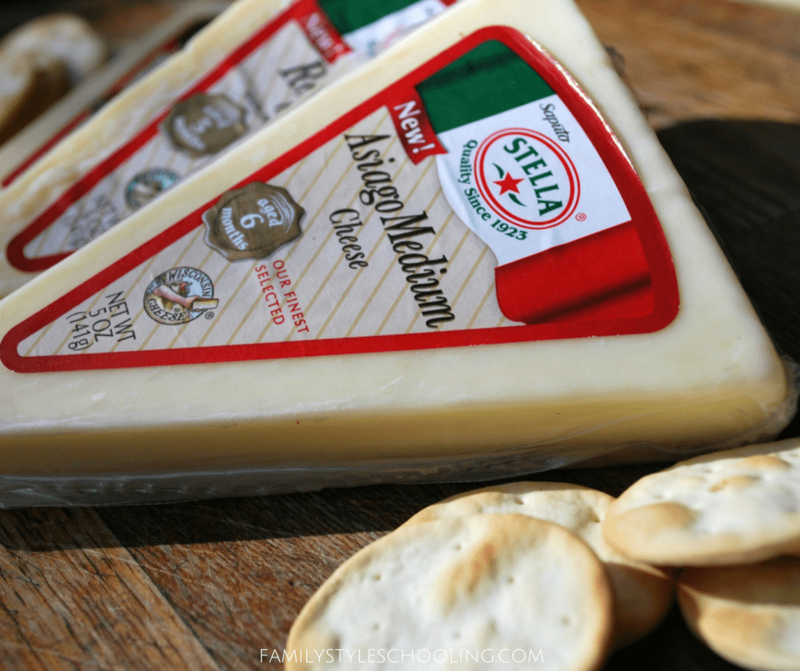 Purchase Stella Cheese for your next holiday party. I think my family would love a cheese board like this with a fire and a movie. This might just be how we bring in the new year together! 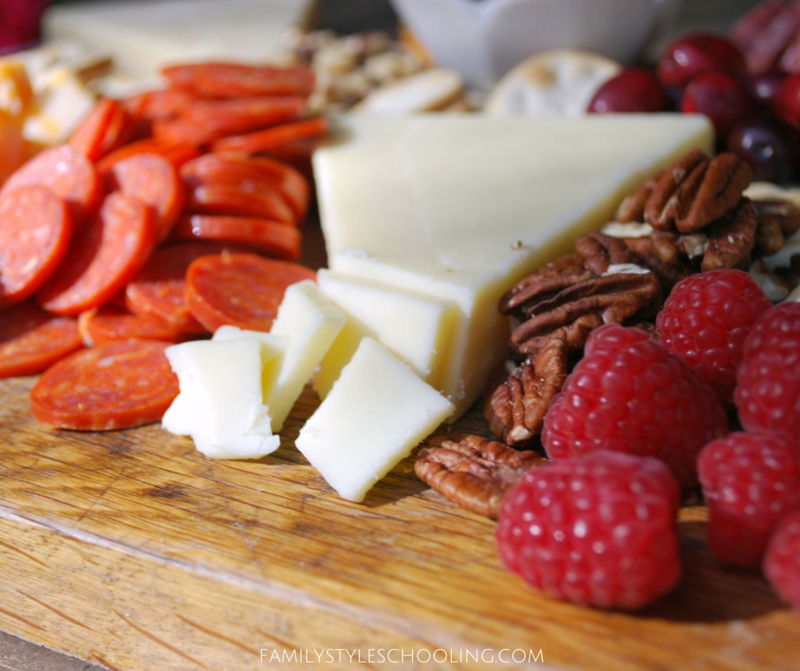 What would you put on a cheese board? Great idea fior our next book club! Looks beautiful!???? Oh my! I love your cheese platter, including the flowers makes a great finishing touch! 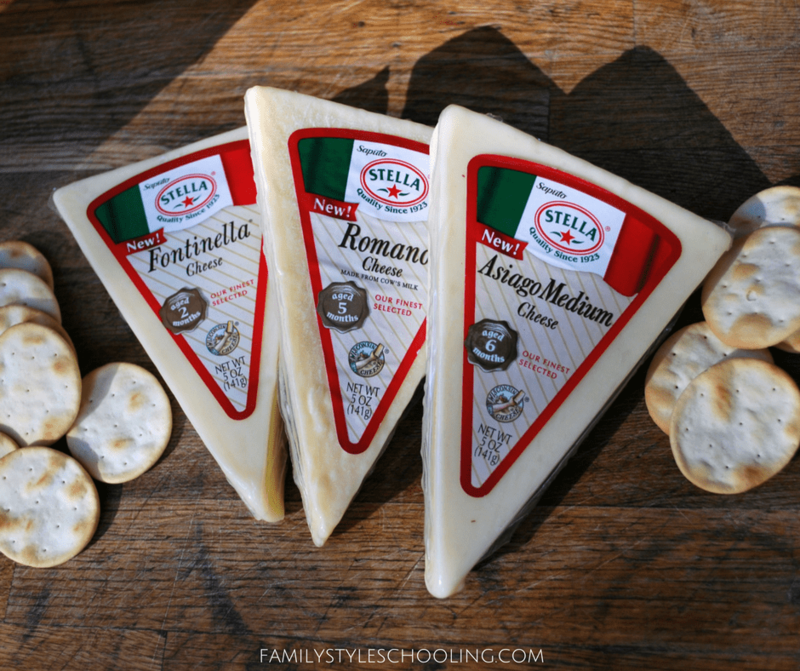 I’m looking to make a cheese platter for New Year’s Eve and am hearing good things about Stella Cheese! Wow! You’ve got amazing photography skills. I am totally craving some Stella cheese now. Thanks for the great tips!